A CCRC blog post explores why some reforms prove successful in multiple contexts, while others do not. 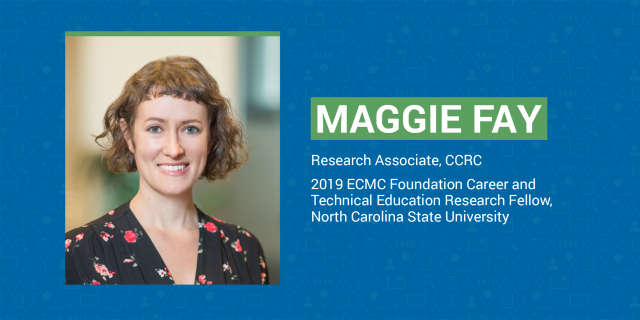 Community colleges can upend deficit orientations toward their students and make a meaningful case for resources by rethinking their approach to demographics, Nikki Edgecombe explains. 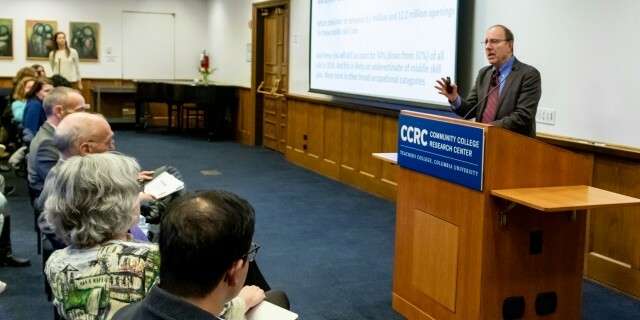 Paul Osterman, a professor at MIT's Sloan School of Management, discussed the intersection of labor and technology at a recent talk organized by CCRC. Find out what conferences and events CCRC researchers will be presenting at in the coming weeks. Written in conjunction with the Education Commission of the States, this brief provides an overview of multiple measures assessment and placement and describes how several states are implementing the approach. 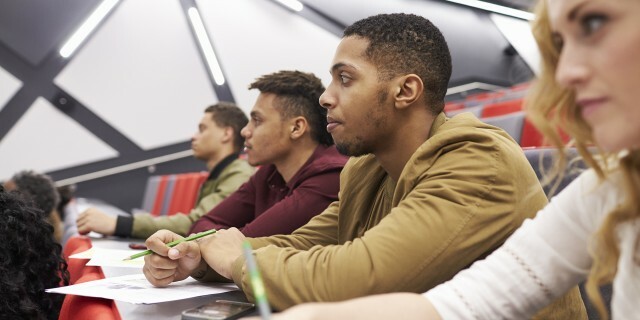 Using Florida as a case study, this Change Magazine article describes the complexities of implementing effective college readiness reforms and offers insights for policymakers looking to improve student success. This paper describes how community colleges became a major resource for the nation's workforce development requirements and discusses how this role continues to evolve to meet the needs of students, employers, and local communities. Recently published in the Journal of Human Resources, this CAPSEE working paper examines the consequences of failing Satisfactory Academic Progress requirements for community college entrants in one state. The fellowship will support Fay's dissertation research on how math remediation affects academic trajectories. Drawing on lessons learned from CUNY ASAP, iPass, and faculty development cycles, this blog post explores why some reforms prove successful in multiple contexts, while others do not. Paul Osterman, a professor at MIT's Sloan School of Management, discussed the future of work during a February 28 talk at Teachers College organized by CCRC. CCRC has been a leader in the field of community college research and reform for over 20 years. Our work provides a foundation for innovations in policy and practice that help give every community college student the best chance of success.